All of the rubber parts are molded from a 70 durometer ethylene propylene diene monomer (EPDM) rubber compound that is fully compatible with automobile brake fluid. All parts are made right here in the USA! 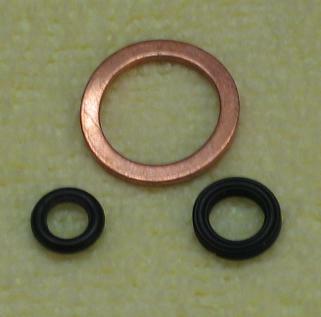 The kit can be used to rebuild other switches of the same type if the areas where the replacement rings are used measures 13/64" in the small groove and 17/64" at the end of the brass sleeve.